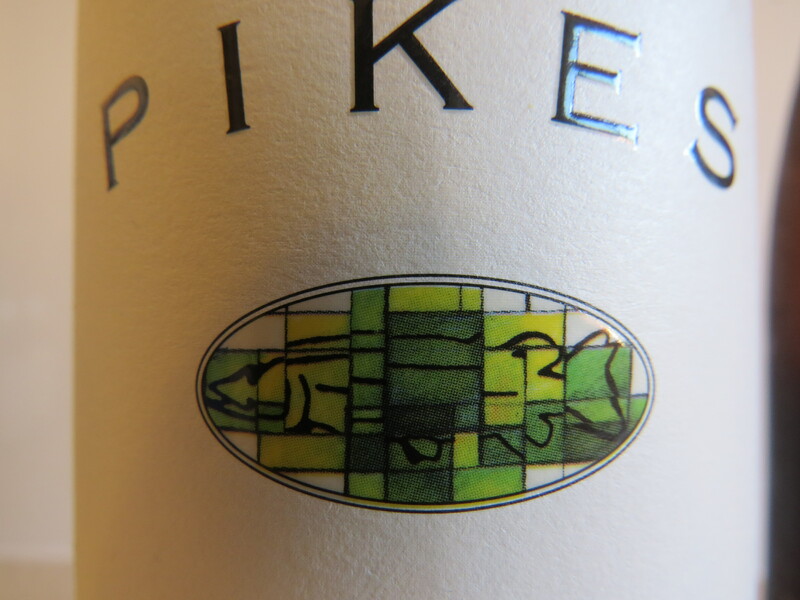 The Luccio name is given to Pike’s Italian varieties, Fiano, Pinot Grigio and the Sangiovese. Aptly, Luccio is the Italian word for a Pike fish. It’s all very common sense. Notes of sandalwood, waxy preserved lemon, Brazil nut and some lifted perfumed citrus. Pithy lemon, nutty with a touch of spice, there is a broad, textural aspect to the wine that fills each side of the palate, whilst being guided in a straight line by linear acidity. Food friendly, we served this up with a mixed seafood spaghetti, stirred through with lemon, garlic and parsley and it worked admirably. Which is the imposter? The label or the grape? Let’s the get the elephant in the room to pack his trunk and be gone. 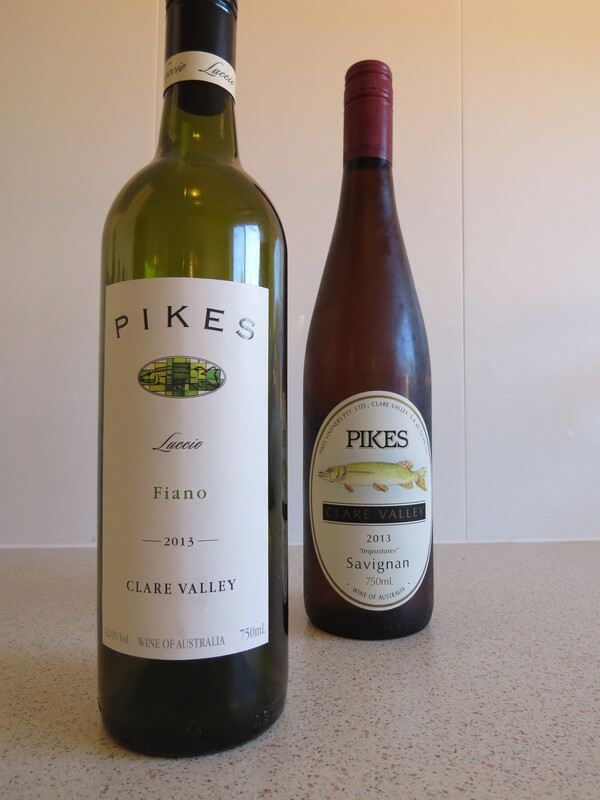 Many Australian producers thought they had planted the Spanish grape Albariño, but the subsequent DNA testing revealed something akin to the Postman also having red hair, made the discovery it was actually a French variety, Savagnin. Po-tay-to or Po-tar-to? Does it matter? Brown glass bottle in a traditional flute d’Alsace. Old school respect. The wine glitters pale lemon/straw in the glass. The nose unique with hessian, apple pulp, lemon/lime citrus and white stonefruit. A distinct sour tang to differentiate itself from any other variety: but a mix of salt, white nectarine, lemon/lime and quartz “minerality.” Not dissimilar to the lasting flavours of a Tequila Slammer, just not as gag-inducing. Mouth puckering, crystalline acidity plus. Those long, strong acid lines give it structure for age. 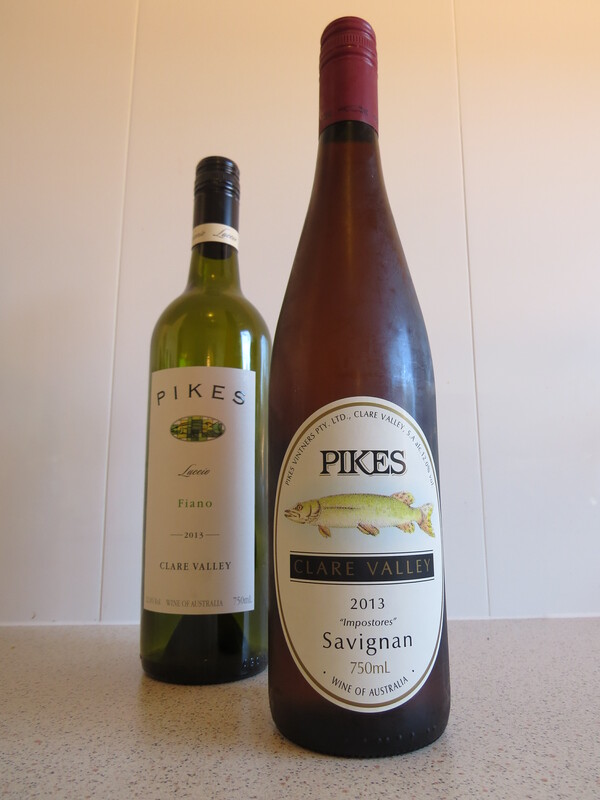 This is definitely a wine of place and seems more of the Clare Valley than of Savignan. Or Savagnin.